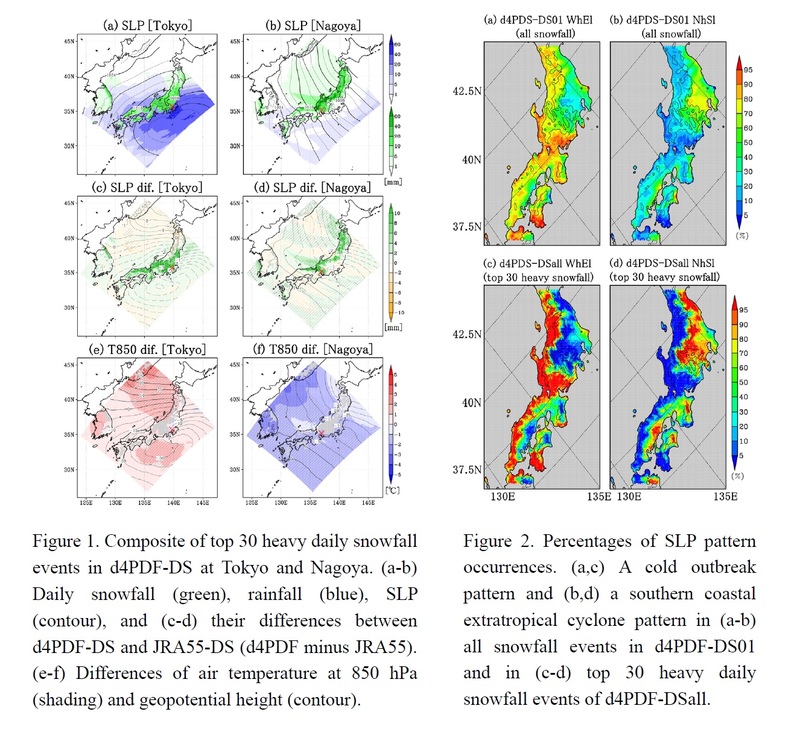 We investigate the characteristics of synoptic conditions for heavy daily snowfall from western to northeastern Japan in the present climate, analyzing high-resolution regional climate ensemble experiments with 5-km grid spacing based on d4PDF (310 years) and JRA-55 (31 years). 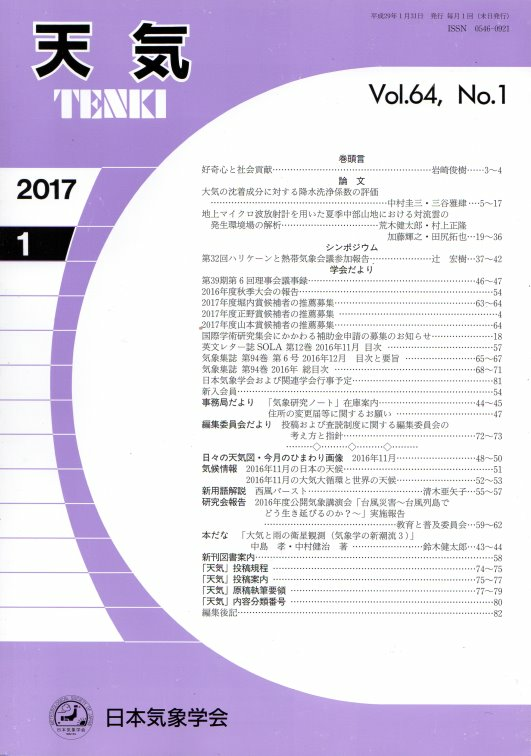 A comparison between JRA55-DS and d4PDF-DS indicates that heavier snowfall can occur due to more developed extratropical cyclones and enhanced cold air damming in Tokyo, while stronger cold air outbreaks and enhanced JPCZ can produce much heavier snowfall in Nagoya. Top 30 heavy snowfall events show much clearer geographical boundaries of two typical pattern, i,e., cold air outbreaks and southern coastal extratropical cyclones, than all snowfall events do.